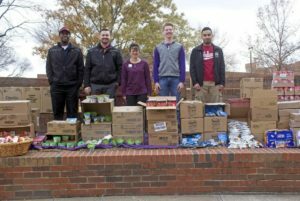 Students at Tarleton State University are now donating their unused dining dollars to help restock the food pantry, with the turnout being over $6,000 at the end of last semester. Located in Room 12 of the Thompson Student Center, Tarleton’s food pantry was established in 2015 to provide students with healthy meals during times of financial need or during the holidays when Tarleton’s dining services are closed. Morgan Salas, a freshman majoring in animal science and pre-vet, came up with the idea to donate leftover dining dollars to the university’s food pantry. “Back when I was in FFA (Future Farmers of America) in high school, I went to this thing called the Washington Leadership Conference and when I went there, we did a project called Hopes for Meals and we packaged all of these foods. Our big focus was finding out projects where we could take back for our community and figure out a way to solve an issue and my biggest thing was finding [a solution to the] issue for the kids that go home and don’t see a meal until the next day they go to school,” Salas said. Salas said she spoke to her mom about her unused dining dollars and they came up with the idea together. She then decided to email President Dominic Dottavio about the idea to donate dining dollars to the food pantry. “I didn’t think I would get a response so quickly from Dr. D (Dottavio). I emailed him the next morning and the response was so immediate. He said he already had somebody putting it into action and then, sure enough, I saw the [flyers] in stores [advertising it],” Salas said. 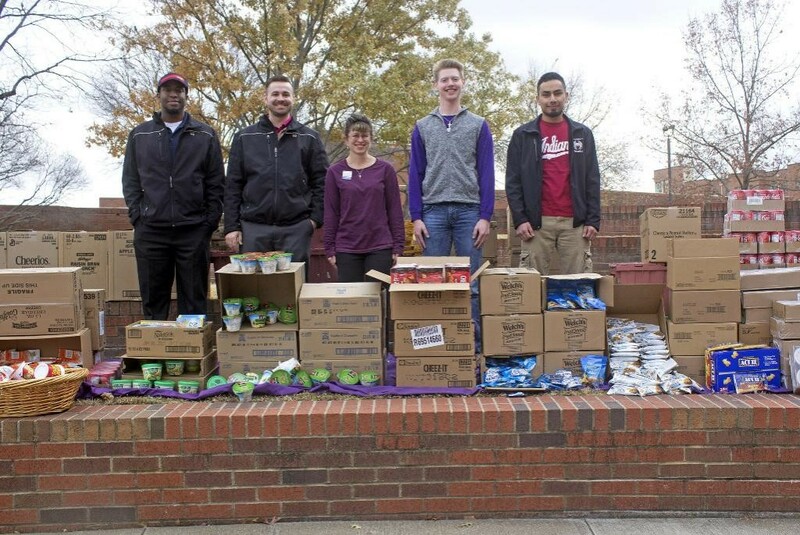 Tarleton State University students donated $6,000 of their unused dining dollars to the food pantry. Close to 500 students participated. According to a press release from Tarleton’s Marketing and Communication webpage, close to 500 students donated their unused dining dollars. Erin Warner, the university’s community service and food pantry coordinator, was shocked to discover the huge turnout of donations. “It was really shocking and overwhelming to think that our student body as a whole, and so many, were feeling so giving,” Warner said. Warner encourages students to donate their dining dollars to the food pantry in the near future. Warner wasn’t expecting many students to donate to the food pantry, but she is glad this project was successful and that it will continue to be an ongoing initiative for the students. “I think it’s just really awesome to work for and serve a student body that is so giving to its community, and just exhibiting Tarleton’s core values through small actions like this,” Warner said.